Become a Featured Mom Boss-Spread the Word About What You Do! I have exciting news Mom Bosses! Starting the week after Thanksgiving, I will be highlighting one mom boss per week on my blog as a “Featured Mom Boss”. The post will be all about one mom boss and her business. My goal is to promote mom owned businesses and help my tribe gain exposure for their business. So…let’s get the word out about you! Who Can Be a “Featured Mom Boss”? Any mom who owns a business. Though only one rep per MLM will be represented. When will Mom Bosses be Featured? I am accepting applications on an ongoing basis and will select moms who have completed the application as completely as possible. I will highlight a “Featured Mom Boss” every week on Thursday starting Thursday, November 29, 2018. Where will Mom Bosses be Featured? I will be sharing the “Featured Mom Boss” on my blog, along with my Pinterest, Instagram, Facebook, and email audience. What Information Will be Featured? To be a “Featured Mom Boss” all you have to do is fill out a simple Google form. The information that I will be sharing will come directly from the form and will be presented in interview style. I reserve the right to select only portions of the form and publish what I choose. I will NEVER change the intent of your message or your words. Additionally, I cannot possibly highlight all that will apply, so your application does not guarantee being featured. How to Become a Featured Mom Boss? Let’s Get Started Spreading Your Message! I cannot wait to start spreading the word about the important work you do and the impact you’re making on the world. Don’t forget to spread the love. If you know of a Mom Boss that you want more people to know about, share the application link with her. Want another way to grow your business? 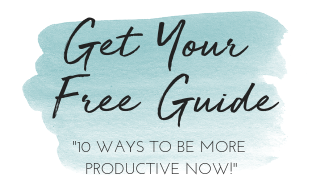 Download my FREE GOAL SETTING PACKAGE HERE and set yourself up for success in the new year!